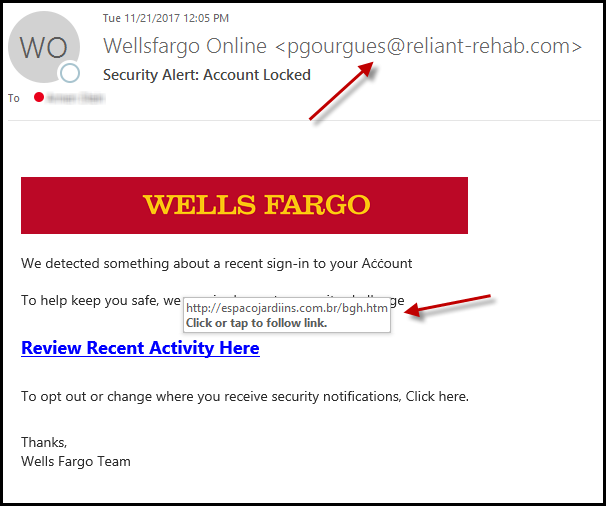 One of our team members received this email today from “Wells Fargo” – CLEARLY a phishing scam! How can you tell an email is not real? Hover on the links (DO NOT CLICK ON THEM) and see what the hyperlink address is, If it does not match the “sender”, you can be sure it is a fake!